MARCH 2019; JESSUP, MD: API is pleased to announce that Five Towns College in Long Island, NY has taken delivery of a 32 channel 1608-II console. The console sale was facilitated through PK Pandey, owner of AVN | SYS in Boston, MA. AVN recommended the API 1608 as the perfect console to help the college scale their growing audio recording program. Five Towns College is renowned for its music, media and performing arts programs, with notable alumni including Adam Levine, Wyclef Jean, and Joe Satriani. It comes as no surprise that a college with such a track record should chose a recording console from a company with a reputation to match. 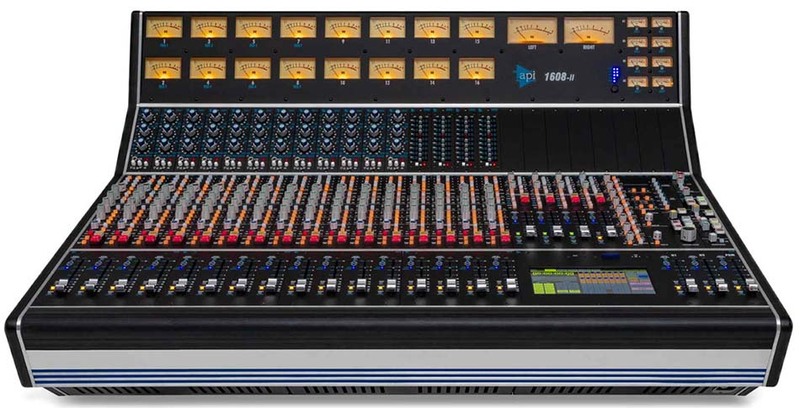 API’s new 1608-II console, released in the fall of 2018, expands on the hugely successful original 1608 console, which was delivered to over 600 studios and educational facilities throughout the world in its ten year run.